While you will definitely be looking forward to beginning a new life in a new city, the mechanics of moving from Port Macquarie to Sydney can be extremely tiresome if you attempt to do it all by yourself. The exercise of packing, transporting and unpacking calls for an expertise of a different kind and therefore, is best left to reliable furniture removals, like us! Roadways Furniture Removalists is one of the premier furniture removals companies in Australia; we have built a reputation for matchless service quality over the years that our countless clients will be happy to vouch for. While we will be happy to help you out with local removals, our strength is in long distance and interstate removals; we have got virtually every destination on the map covered and run regular services between the more popular cities. Roadways offers a comprehensive range of Port Macquarie to Sydney removalists services. We are known for our transparency of the scope of job, and pricing, so that you are never in the dark. Should you require any special services, we will be delighted to generate a customized estimate after a quick evaluation. Roadways offers a comprehensive range of Port Macquarie to Sydney Removals Service. We are known for our transparency of the scope of job, and pricing, so that you are never in the dark. Should you require any special services, we will be delighted to generate a customized estimate after a quick evaluation. 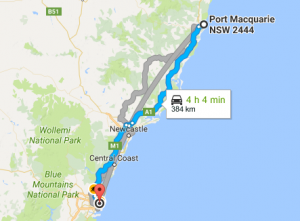 If you need reliable Port Macquarie to Sydney removalists, Roadways Removals is ready to get the whole process on the way today!